This special edition of the National Film Unit’s monthly magazine series looks at some of the “people, places and events filmed by our cameramen during the years 1941 - 1962”. The NFU’s 21st birthday review — compiled by David H Fowler — ranges from wartime newsreels to the post-war boom (factories, dams, industrial agriculture), from salvos to Peter Snell. Other images include Kiwi soldiers playing rugby in Korea, and cigarettes hanging from the lips of firemen fighting Christchurch's Ballantyne Department Store fire in 1947. The Years Back was a documentary series that used archive footage and interviews to survey New Zealand’s 20th century history. This episode details events in the Pacific during World War II, from Japan’s 1941 attack of Pearl Harbour through to mid 1944. Japan’s aggressive thrust into South East Asia threatened New Zealand and Australia (“any day now it’ll be us”), and forced the countries into war close to home. 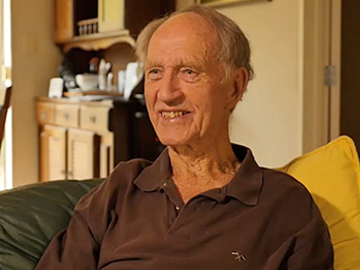 Veterans and commanders recall sea battles, rallying of air defences and jungle warfare, from New Caledonia to New Guinea.The series was made by the National Film Unit. The trucks of NZ Army Service Corps were a familiar sight in 1950s Korea, according to this short National Film Unit newsreel. 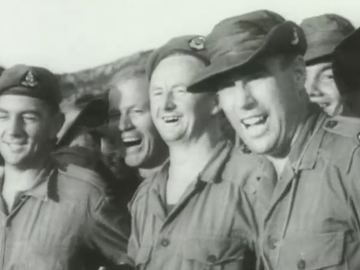 The focus is on New Zealand’s military involvement in the Korean War (1950-1953) — the narrator also says that in just over a year NZ guns fired over 250,000 rounds. Footage highlights the contrast between city life in Tokyo, Japan, where NZ soldiers went on leave; and the ruins of war-torn Korea. There’s also footage of NZ servicemen performing a haka before a footy game. Like many others who signed up at the beginning of World War II, Tom Beale was looking for excitement, travel and the glamour of the uniform. Where he ended up was Guadalcanal in the Solomon Islands. 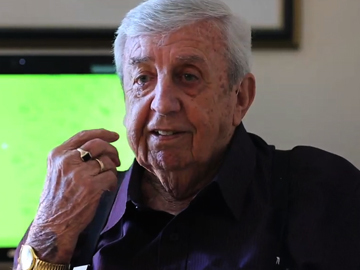 A Leading Aircraftman (a junior rank in the air force), Beale served alongside Americans and Australians as they fought to push the last remaining Japanese soldiers off the island. Daily Japanese bombing raids added to the discomfort of fighting in the tropics. Returning home, Beale found it difficult to settle and re-enlisted, ending up in Japan as part of the occupation force. 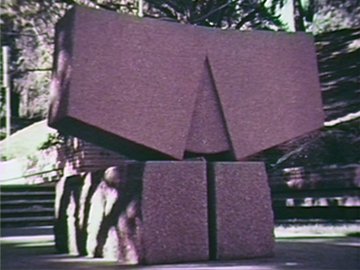 This National Film Unit production records the making of four large-scale sculptures for a 1971 international symposium to commemorate Auckland City’s centennial. Helen Escobedo (Mexico) nodded to the skyline’s masts and cranes with Signals in Parnell Rose Garden; Opened Stone by Hiroaki Ueda (Japan) was balanced near Auckland Art Gallery for 35 years; and American Fred Loopstra's Homage to Will still ploughs Victoria Park. A central city scrap metal work by Canadian Tom Burrows was removed in 1977, perhaps achieving his stated aim: to “disturb” its viewers! This post-war Weekly Review boards a RNZAF Dakota flying “the longest air route in the world”: a weekly 17,000 mile ‘hop’ taking mail to Jayforce, the Kiwi occupation force in Japan. Auckland to Iwakuni via Norfolk Island, Australia (including a pub pit-stop in the outback), Indonesia, the slums of Singapore, Saigon, Hong Kong; then Okinawa, Manilla and home. Director Cecil Holmes’ pithy comments on postcolonial friction and rich and poor avoided censorship, but won a warning not to rock the boat. The next year he was controversially sacked from the National Film Unit. Sponsored by the Crusader Shipping Company, this 1966 National Film Unit production joins one of the firm's ships as it transports NZ products from Auckland to Asia — home to “one quarter of the human race, 900 million customers”. As milk powder, wool, mutton, apples, cheese and deer antlers are delivered to ports in the Philippines, China, Japan, and Hong Kong, director Ron Bowie observes cultural difference and economic opportunity; and a “westernising” Orient is beautifully captured by Kell Fowler. 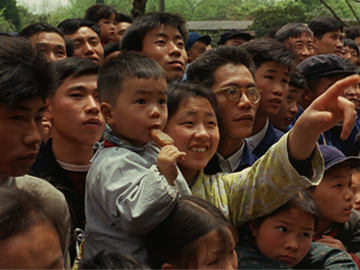 The NFU crew were rare foreign observers in Chairman Mao’s China. It's 9am, and people have been queuing for hours. Welcome to Expo '70 in Osaka Japan, with 70 plus countries showing what they are made of. 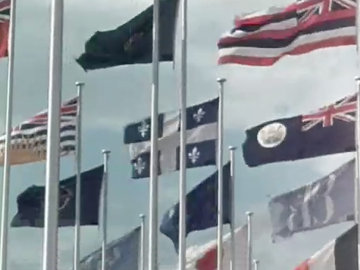 This National Film Unit documentary combines an overview of the expo, with a closer look at the New Zealand presence. There is extensive footage of the Kiwi pavilion, including background to screenings of Hugh MacDonald's three-screen spectacle This is New Zealand, which was one of the most acclaimed films at Expo '70. The Maori Theatre Trust also perform. 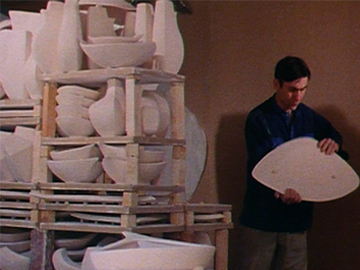 This edition of the 1987 Inspiration series on Kiwi artists looks at potter James (Jim) Greig, and his search for the “spark of life” found in clay. The Peter Coates-directed documentary visits Greig’s Wairarapa studio to interview him and his wife Rhondda, also an artist. Greig’s influences are surveyed: the work of Kiwi potter Len Castle, nature, orphanhood, and Japan (where his work achieved renown). The film captures the visceral process of making large works for a Wellington City Gallery exhibition. Greig died of a heart attack, aged 50, while this film was being made.